Fourteen-year-old Durriken Brishen has lost his parents, his grandfather, and though he doesn’t know it, his Gypsy culture’s dangerous gift. The last gift he received from his grandfather, the box contains the world’s first chess set. But a piece is missing: the Red Queen. According to Durriken’s family lore, the complete set awakens the power of Tărie, a mercurial gift that confers unique abilities on each new Master. 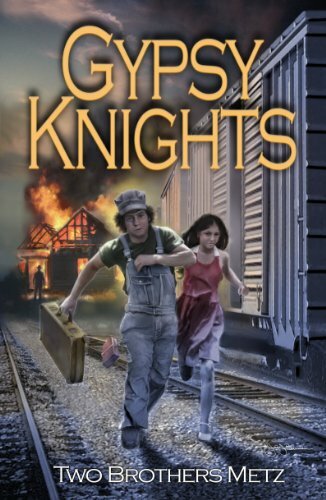 When a suspicious fire erupts in the Chicago rail yard, Durriken’s escape produces an uneasy alliance, though not without its silver lining. Dilia is a few inches taller, several degrees cleverer, and oh yes – very pretty. While Durriken is uneasy allying with a girl whose parents were convicted of sedition, there’s no doubt she is a powerful partner. And while it’s not immediately clear to either, her own Guatemalan culture and family history are deeply entwined with the ancient Romani mystery. So, here we are, with another Gypsy culture-ish inspired book; I won’t make a lot of fuss on this, but I will say that is refreshing to read, for once, a book that actually uses the notion of ‘gypsy’ demonstrating some thorough knowledge of the true culture and at least hints at the heritage that romani have. Me, being a resident of EU, and especially of Romania where there are quite a few gypsies, I think I know some things about their culture and habits, and so to me they’re less mysterious then they might seem to you guys over in the US or other places. And I for one sometimes get annoyed at how some people use the gypsy wild card to paint them all kinds of habits and traditions that I’m dubious they have, but ignore the huge history and real fascinating cultural aspects that they do have. In this book, aside the fiction part of course, I felt that they were treated with a lot of respect towards their identify and culture. I’m not sure how many people know that they’re originally from India, became nomadic, and staid that way regardless of where they might reside now and then, and how strong and traditional their culture really is, how keen they are on keeping to their identity and ways, even if modern day man tends to frown on some of their cultural patterns. Anyway, my compliments for the Two Brothers Metz for showing proper respect in knowing a culture, and not just using it as the wild card mystery bringer trick. That being said, let’s move on. I liked the writing and the plot of the book, too. I was a bit slow to adapt to its pace for the first few pages, and perhaps because of that I didn’t really connect with the characters much, but it was a good read. I won’t say I was holding my breath through the twists and turns or anything, but I enjoyed reading it. I was fun and it interesting. I say give it a read if you like adventure and mystery, it’s well worth your time.